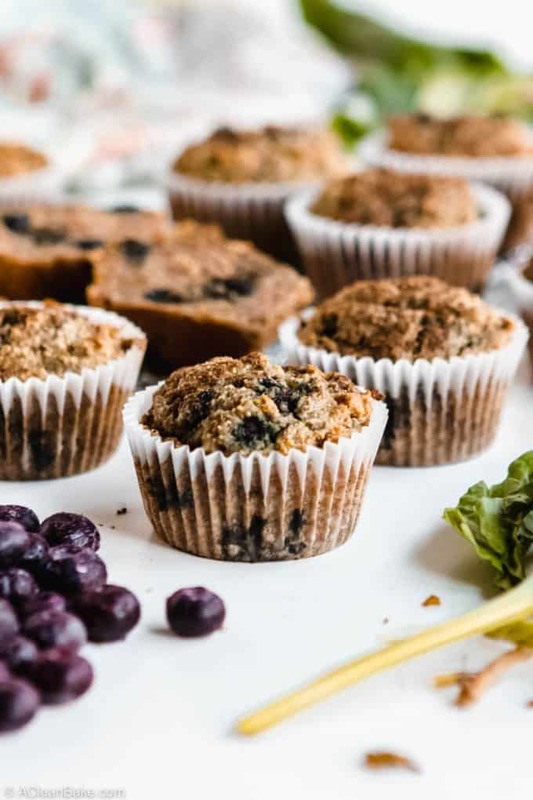 These toddler-friendly muffins pack a (small) serving of vegetables, without differing in flavor or texture from a “normal” blueberry muffin. Made from wholesome ingredients and very lightly sweetened, this is a breakfast treat that will please kids and adults alike! I chuckle to myself a little when parents start feeding their babies purees and assume they lucked out and got the easiest kids who will eat anything. Juuuuust wait, I always say to myself. Wait for age 2. My son has been a mediocre eater since the day he was born. Now that he’s also a full blown toddler, with lots of energy and even more opinions, not to mention a very firm grasp of the word “no”, feeding him is even more challenging than ever. I know other parents out there can relate. So you’ll understand why I have taken to hiding vegetables wherever I can. He’ll still drink smoothies, thankfully, so he gets about 6 hidden vegetables in each glass. Besides smoothies, the only things he’ll reliably eat are applesauce and yogurt, and carbs. So, yes, I – the woman who, as a non-mother swore up and down that I would never stoop to hiding vegetables in my child’s food because he would be suuuuch a good eater because I would somehow figure out how to teach him to eat without complaint even though no other parents on the face of planet Earth has accomplished this – have become a chronic hider of vegetables. Here we are. II like beets for their heartiness, antioxidants, fiber, and an impressive amount of folate, a B vitamin that is essential for healthy tissue growth and supports strong metabolic function. They’re not a vegetable that many kids (or, at least my kid) will eat straight, so they’re a good candidate for hie and seek. 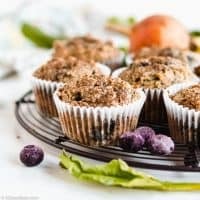 I prefer milder golden beets for these muffins because they add the nutrients of a vegetable without any discernible change to the flavor, color, or texture. You can absolutely use red beets, as long as your child won’t look too closely and then throw the muffin on the floor. Mine will, so I’ve learned which vegetables have the least impact. It’s an easy two-bowl recipe that I frequently pull together before work or during my weekend meal prep. 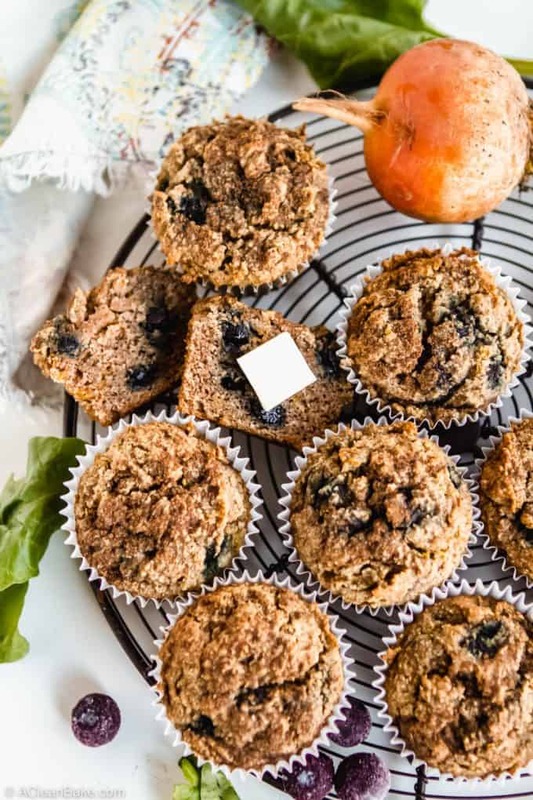 Neither of those windows of time are too generous, so you can rest assured that these are very easy muffins to make. Start by whisking together the dry ingredients. This is a surprisingly kid-friendly activity; I have been getting my son involve in the kitchen by measuring out dry ingredients and letting him dump them into the bowl, then stir. It has helped him work on patience, precision, and motor control. Next, whisk together the wet ingredients. This is a little less toddler-friendly, unless you don’t mind fishing eggshell shards out of the batter 😅 Older kids could help measure, pour, and whisk the wet ingredients, though. It’s simple enough! Finally, grate the beets. If you’re in a hurry, you can use the food processor, but I highly recommend the box grater. You want a finer grate than the food processor is able to provide, if possible, and the box grater means fewer dishes! Pour the wet mixture into the dry mixture and stir it together. 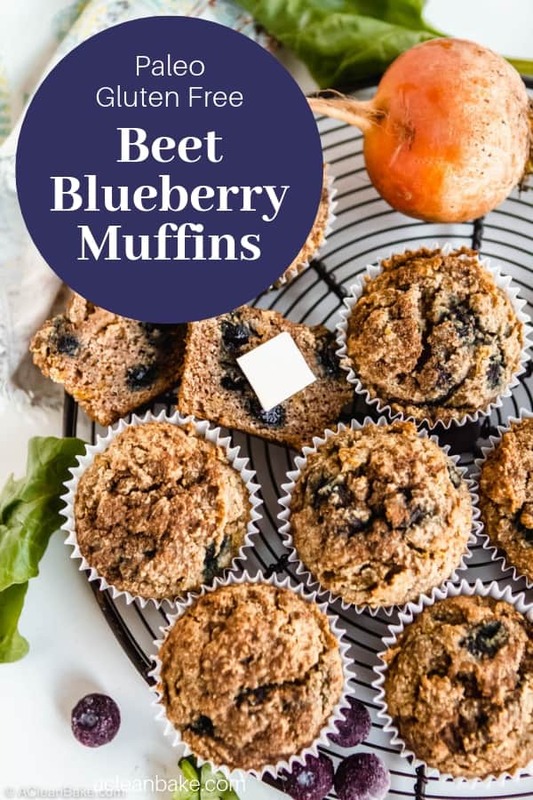 Then fold in the beets and, of course, the blueberries (fresh or frozen – not defrosted), scoop them into a cupcake pan, and bake. You can use any other finely grated root vegetable in place of the beets, if you choose. Carrots, squash, and sweet potato work very well. 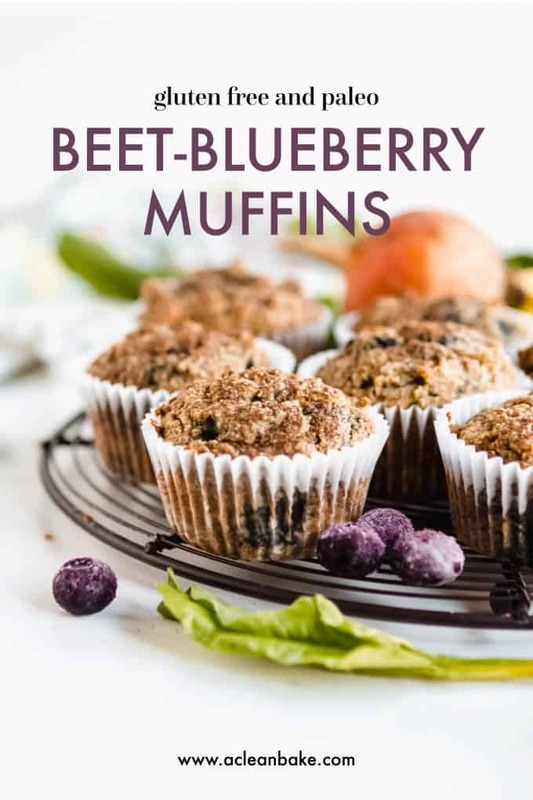 I’ve tried these with turnips, too, although they do change the flavor of the muffin slightly. I don’t pretend to be any kind of parenting expert, but in my experience, feeding kids – even the “easy” ones – is hard. They are inconsistent in everything except their unpredictable whims, and their refusal to eat or do anything you want at the exact moment you want them to. So, eat your vegetables? Heck, no. But eat your muffin (in which I’ve surreptitiously hidden a little bit of nutrient-rich grated vegetable that you’ll never know is there)? Always. 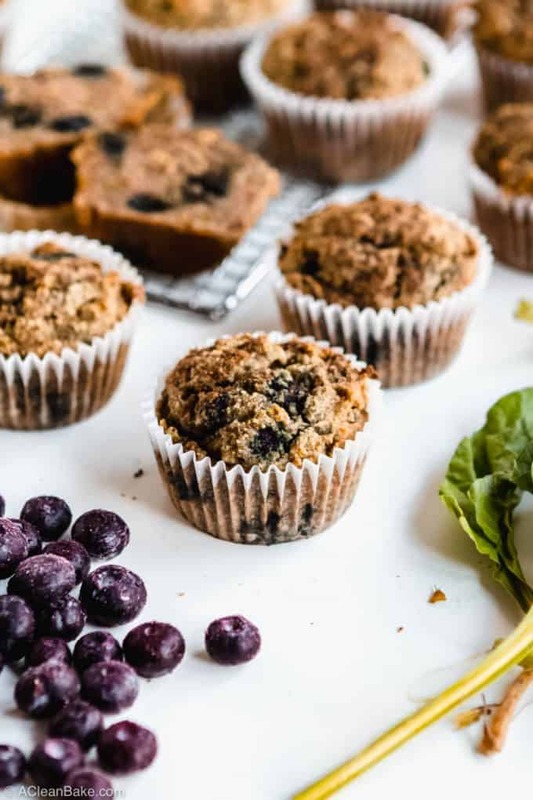 These toddler-friendly muffins pack a (small) serving of vegetables, without differing in flavor or texture from a "normal" blueberry muffin. Made from wholesome ingredients and very lightly sweetened, this is a breakfast treat that will please kids and adults alike! Line a cupcake pan with 12 muffin papers and set aside. In a large mixing bowl, whisk together the almond flour, coconut flour, arrowroot flour, cinnamon, baking soda, and salt. Set aside. In a medium mixing bowl, whisk the eggs, then whisk in the maple syrup, milk, oil, vanilla, and vinegar. Add the wet (eggs, etc.) mixture to the dry (flours) mixture and stir to combine. Make sure you scrape down the sides and bottom of the bowl to make sure everything is thoroughly combined. Stir in the shredded beets until well-distributed. Divide the batter between the 12 prepared compartments of the cupcake pan. Tip: use a spring-loaded ice cream scoop to make this step easy and less messy! Optional: add a sprinkle of cinnamon to the top of each muffin. Bake for 25-30 minutes, until muffins are firm on top and springy to the touch. Cool muffins for 10 minutes in the pan, before moving to a rack to cool completely. You can sub tapioca flour for arrowroot, if you need to. Arrowroot will yield a slightly lighter texture. You can use water instead of milk if you need to. You can use olive oil instead of avocado oil, but I suggest using virgin (not extra virgin) to minimize the olive oil flavor. Peel the beets and discard the ends before grating them. I used golden beets for this recipe, but red beets will work fine too. The muffins will turn out redder, though. You can use fresh or frozen blueberries. If using frozen, do not defrost them before adding them to the batter. Either way, be sure to fold them into the batter as gently as possible, rather than stirring them in. Stirring breaks the berries, and will dye the batter blue-brown. 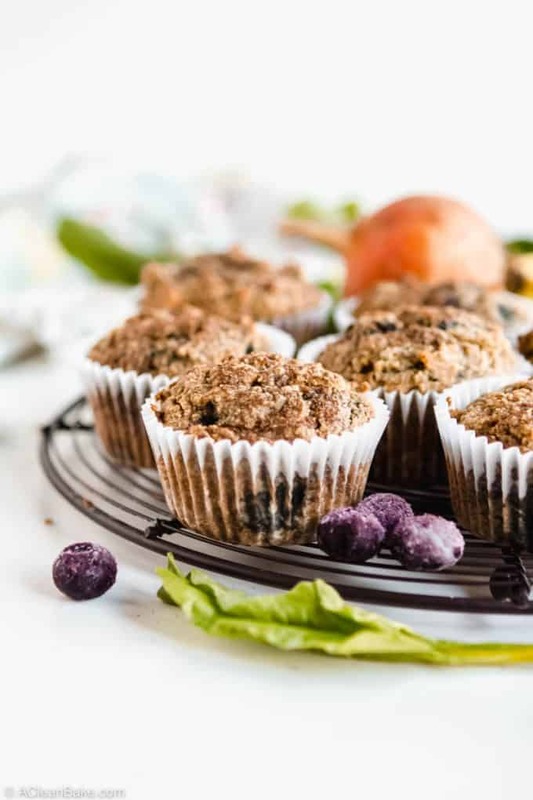 Store leftover muffins in an airtight container at room temperature for up to three days, in the refrigerator for up to a week, or in the freezer for up to three months.